Until now you could add a bookmark to Ninja in the mobile browsers only with sending the link via email to the add@bookmarkninja.com email address. 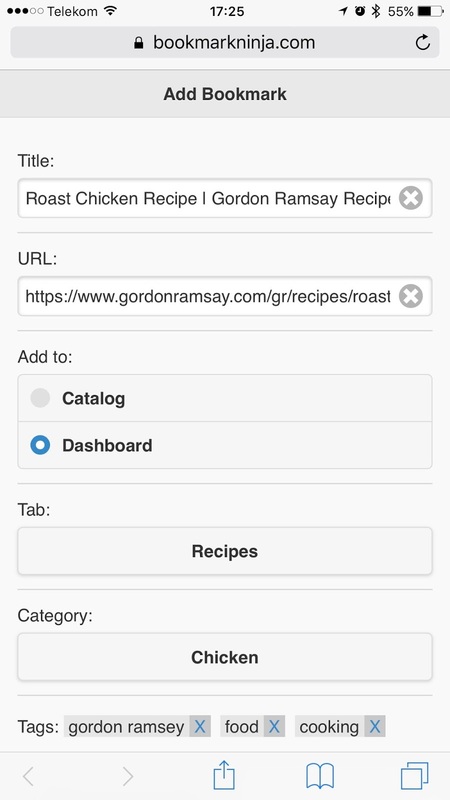 From now you can bookmark a page the same way as in the desktop browsers: you can invoke the "Add Bookmark" dialog where you can set the destination Tab/Category and can also add Tags. 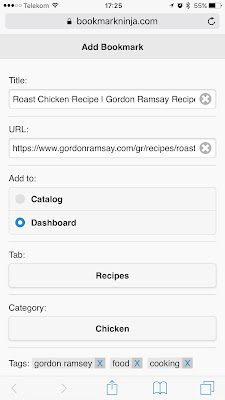 While the installation of the "Add to Ninja" bookmarklet in the desktop browsers is a simple drag and drop, in the mobile browsers it requires 3 easy steps. 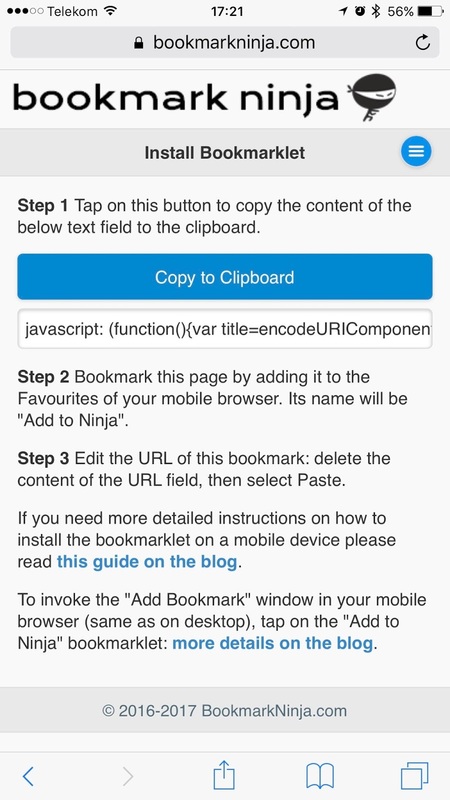 Please launch the www.bookmarkninja.com site in your mobile browser and select "Install Bookmarklet" from the Ninja main menu and follow the 3 steps listed on the page. 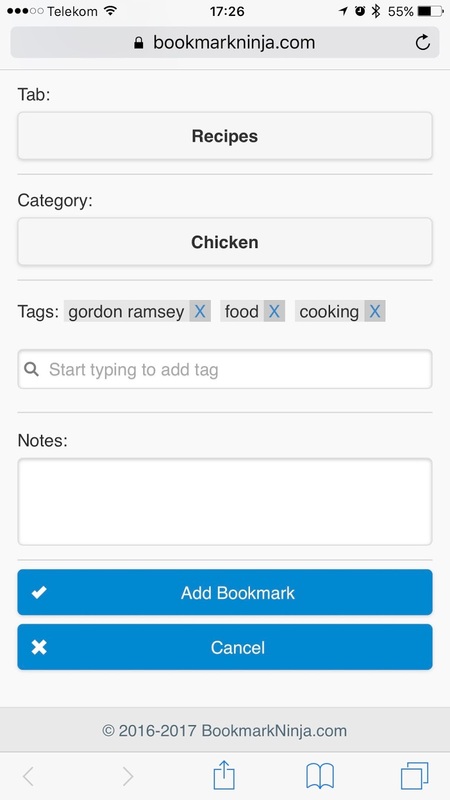 You can find a more detailed guide here: How to install the bookmarklet in the mobile browsers? To invoke the "Add Bookmark" window to send the actual link in the mobile browser to Ninja, tap on the "Add to Ninja" bookmarklet: How to add a bookmark to Ninja on mobile devices? Of course sending the link via email to the add@bookmarkninja.com email address is also still available.